← LOG#022. Kaniadakis and relativity. 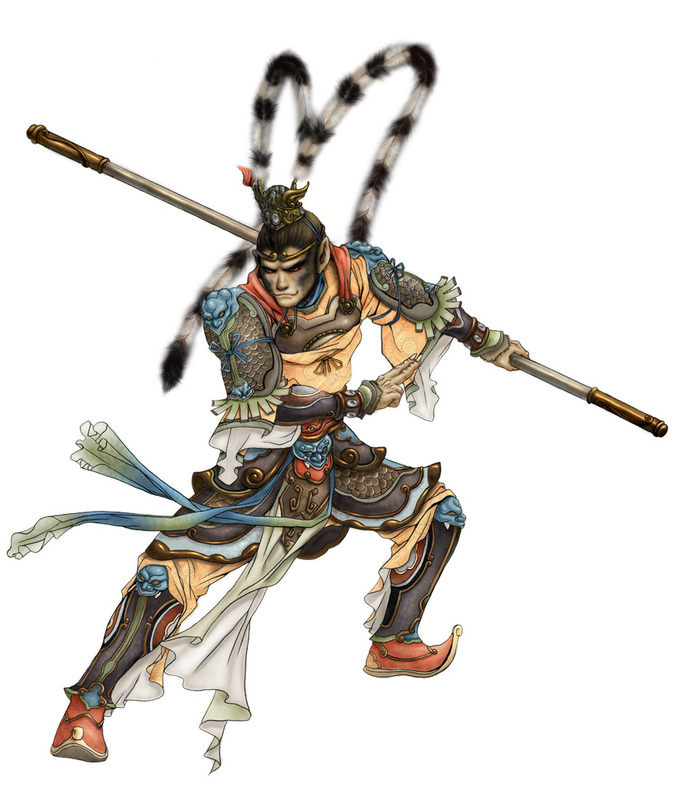 For geeks only: Sun Wukong was the inspiring character for the manga/anime masterpiece Dragonbal/Dragonball Z, by A. Toriyama. 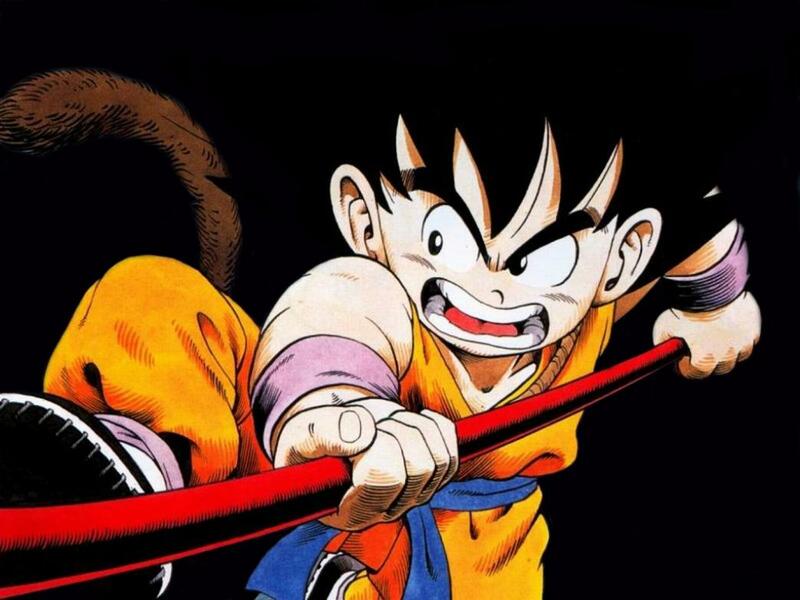 Son Goku is indeed based on the legendary Sun Wukong. 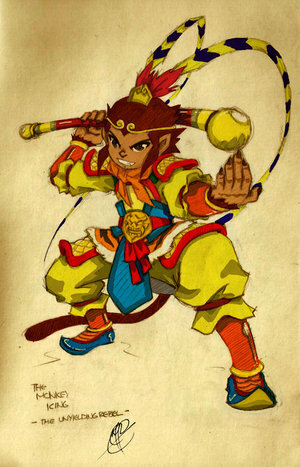 The Journey to the West is Sun Wukong’s epical adventure. It is one of the Four Great Classical Novels of Chinese literature. These four novels are: Romance of the Three Kingdoms, Water Margin, Journey to the West, and The Plum in the Golden Vase (also called Golden Lotus). In the last times, The Dream of the Red Chamber replaced The Plum of the Golden Lotus as “great classical novel” in China. Western people had the analogue story in the historical (legendary?) voyages of Marco Polo to China…Travelling to the West and East is indeed a nice topic for the time dilation in special relativity and beyond (general relativity and non-inertial frames are also important). We will focus on the SR effect, although we will discuss further some remarks concerning important additional effects from rotating systems and general relativity. 1st. The velocity of the Earth’s planet rotation at the equatior (or very close to it). We denote it by . Moreover, we know it is equal to . 2nd. The velocity of the ariplanes carrying the atomic clocks, measured relative to the Earth’s surface, our S-frame. Frame A. 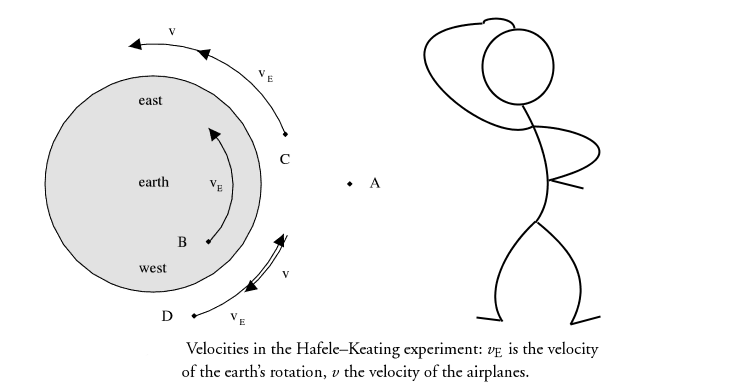 Hypothetical observer moving due west at velocity relative the Earth’s surface, i.e., against the sense of the Earth’s rotation. For him, the sun is always at its zenith and the who Earth planet is rotating underneath him. We can consider he is resting in a good inertial reference frame because he does not participate in the circular motion around the Earth’s axis. Thus, Earth’s rotation arount the sun can be neglected for this frame. Frame B. This is an observer on the ground. He is moving with relative to the frame A.
Frame C. This observer rests in a plane heading east, he is moving at velocity relative to A.
Frame D. This observer is placed in a plane heading west. He is moving at velocity relative to A. 1. On the eastbound flight, time does not elapse as fast as on the ground, as expected. Equivalently, tic-tacs are slower in the eastbound flight compared with the ground tic-tacs. 2. On the westbound flight, time elapses faster. It is logical, since from the A frame viewpoint the airplane heading west has a lower velocity than the observer on the ground B! where g is the surface gravity. and hence, theory and experiment are in good agreement. Let me add that the Journey to the West has a great debt (perhaps in the same sense that the Quixote to chivary books) to chemistry books. It is obvious in some passages, as the one when Lao Den tryes to distill the essence out of the Monkey King. But the point is that most of the Chemistry is about Redox, Acid-Alcali, and other polarities and matches of contraries. The preferred metaphor to describe such reactions was fighting, and so the Journey is a neverending series of matches.